On the heels of a landmark year for diversity at the Academy Awards, the upcoming season may be hurtling toward an #OscarsSoWhite scenario once again. Other than Dee Rees’ “Mudbound,” Jordan Peele’s “Get Out” and Reginald Hudlin’s “Marshall” — all more likely to be fringe possibilities rather than the heavy hitters “Fences,” “Hidden Figures” and “Moonlight” were last year — contenders from filmmakers of color are going to be lacking. F. Gary Gray (“The Fate of the Furious”) and Taika Waititi (“Thor: Ragnarok”) will have blockbusters in the marketplace, but they aren’t expected to be Oscar players. But again, the thread runs out rather quickly. And that’s to say nothing of the lacking representation from Latino and Asian filmmakers and stars, etc. 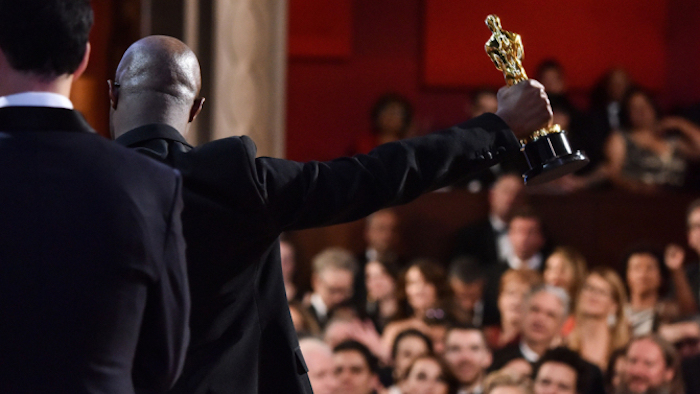 Last season saw many exciting firsts: A film with a predominantly black cast, from a black writer/director, won best picture (“Moonlight”); seven actors of color were nominated; two won (Mahershala Ali and Viola Davis); a black film editor was nominated (Joi McMillon); an African-American cinematographer was nominated (Bradford Young); a black female documentary director was nominated (Ava DuVernay); and three black producers were nominated for best picture. Elsewhere, three other black filmmakers were nominated for documentary. Barry Jenkins and Tarell Alvin McCraney became just the third and fourth black screenwriters to win. Jenkins was only the fourth best director nominee ever. It was, all in all, a banner year at the Oscars for inclusion on the screen and behind the camera. This year? Barring any unforeseen acquisitions that change the landscape, it’s going to feel like a backslide. Currently stirring awards buzz are movies from Todd Haynes (“Wonderstruck”), Alexander Payne (“Downsizing”), Jonathan Dayton & Valerie Faris (“Battle of the Sexes”), Christopher Nolan (“Dunkirk”) and Joe Wright (“Darkest Hour”). Moreover, the paltry list of 13 names mentioned at the top pretty much makes the point about the industry status quo being the culprit. Despite the Academy’s dramatic gestures in cleaning its own house, nothing will change as long as the pool from which voters are asked to pull is so comparatively small. Two thousand sixteen may have been a high-water mark for diversity, but it was by no means a victory lap.